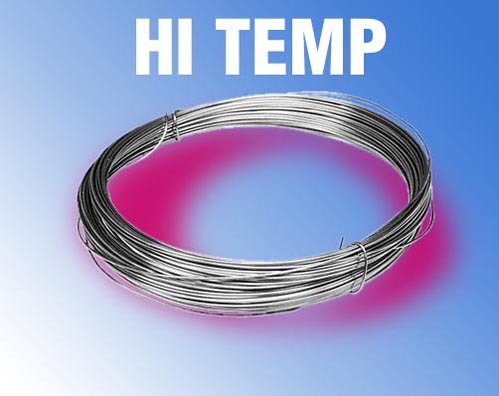 KANTHAL or NICHROME Wire has a high tolerance to heat up to2055° F. and is useful for making special purpose kiln stilts, repairing kilns, etc. 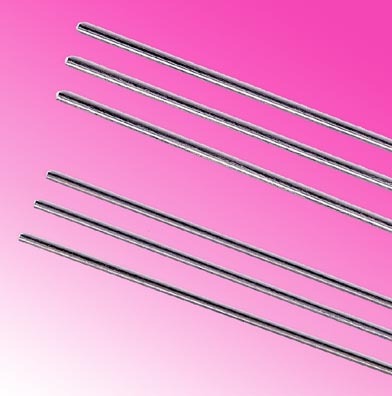 NOTE: KANATHAL & NICHROME Wire can be used interchangeably - "Kanthal" being the Brand Name of the Nichrome Wire produced from one manufacturer. 24 Gauge Kanthal Wire is Especially Suited for DELICATE Work, such as Ornament Hangers, Dollcraft and more. be Heat Tolerant to 2055° F.
Pre-Cut in 1 FOOT Pieces. 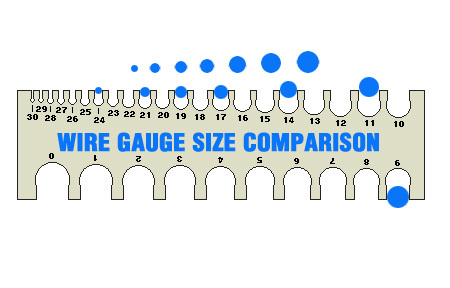 24 Ga. is 0.511 mm or 0.0201"
21 Ga. is 0.723 mm or 0.0285"
19 Ga. is 0.912 mm or 0.0359"
17 Ga. is 1.150 mm or 0.0453"
14 Ga. is 1.628 mm or 0.0641"
11 Ga. is 2.305 mm or 0.0907"
9 Ga. is 2.906 mm or 0.1144"
U-Shape Wire Ornament Hangers are also available. Click on Link at bottom of page to view and buy. 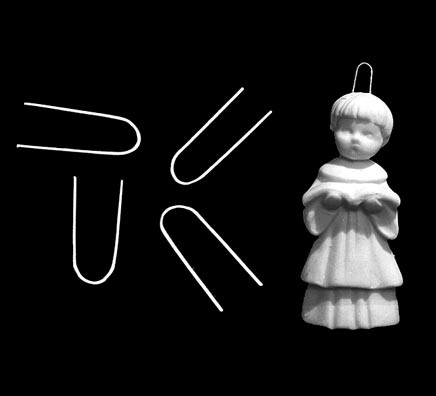 ORNAMENT WIRE for Greenware, etc.